Check out what I found at the local Marshall’s today. I was shopping for curtains and ran into this at the checkout line. 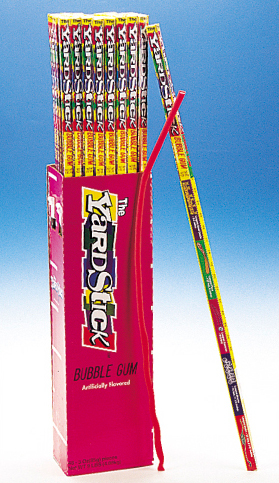 A yard stick of bubble gum! I’m helping my mom with home renovations and this was perfect timing because of course we need to make a lot of measurements. Of course, I would eat all of the gum first before working! 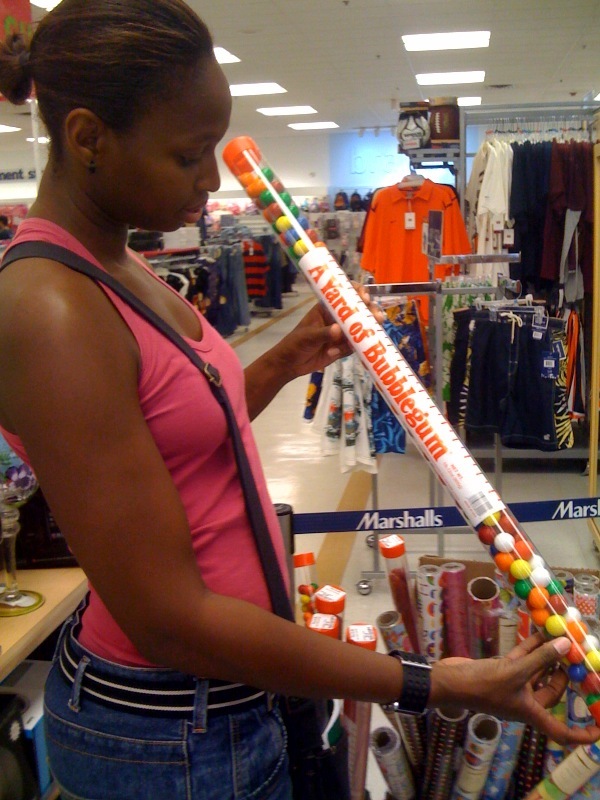 That would certainly keep someone busy for a while!